If you have outgrown the domestic demand, venture globally. This seem to be the message of MATRADE to local manufacturers and exporters. But is our domestic demand that high? I doubt it. 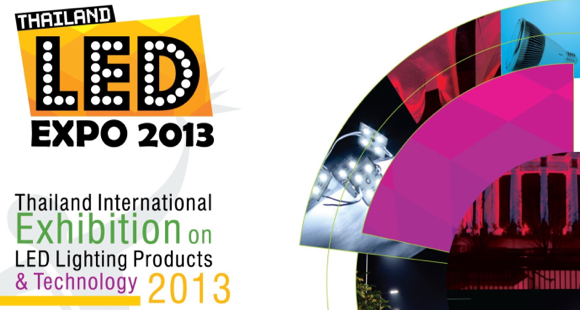 Malaysia has more than 20 local LED companies involved in the assembly of LED lighting products. Some of the bigger ones are Osram Opto Semiconductors (M) Sdn Bhd, Globetronics Technology Bhd, Elsoft Research Bhd, MyLED Opto Technology, and MMS Ventures Bhd. Malaysia's LED lighting market is not that big compare to that of China or even Thailand but what's more disappointing is the lower than expected usage of LED lighting locally. For example, Osram in Bayan Lepas, Penang is expanding its production plant because it is anticipating the huge demand in China beginning 2013. Why can't we expand domestic consumption instead. (Again) are we happy with just being the manufacturer and exporter but not using the product itself? KUALA LUMPUR, Feb 15 -- The Malaysia External Trade Development Corporation (Matrade) is encouraging Malaysian exporters of LED lightings to take advantage of the huge demand for LED products in Thailand. In a statement, Matrade said Thailand continues to encourage energy saving, and plans to reduce energy consumption by 20 per cent by 2030. "Thailand's current LED lighting market is about US$27 million (RM84 million) or 12 per cent of the Kingdom's total lighting market share. "Market demand is anticipated to increase further between 30 per cent to 50 per cent by 2015. The market has shown a positive growth trend with revenue of more than US$10 billion (RM31 million) in recent years," it added. Matrade's Trade Commissioner in Bangkok, Niqman Rafaee Mohd Sahar said the Provincial Electricity Authority is planning to replace one million street lights nationwide with (LED)bulbs. He said other areas that require LED lighting are public and private infrastructure projects, including the construction of a new stadium, the Parliament house, residential areas in the city and provinces, commercial areas such as shopping malls, hospitality and entertainment projects. "Malaysian companies should focus on the requirements of LED products for massive government projects in Thailand, as well as to explore and support the growth demand of LED lighting in the electrical, electronics, and automotive industry," he added. The number of cars with LED headlights will grow from 1.5 million this year to five million in 2015 with the value of LED components growing from US$130 million (RM406 million) to US$300 million (RM938 million). Last year, Malaysia's total trade with Thailand grew 5.4% to US$74.01 billion (RM231 billion) with a positive export growth of 5.5% to US$37.71 billion (RM118 billion). It’s a lighting topic. Saving dollar’s value and energy through these mini jobs is quiet exciting. Technically it speaks how the world has changed with these new innovative. LED has circulated the whole global market in the World of Lighting. The technology world is changing every moment and it’s the time to adopt the real stuff from a number of options surrounding our real world. Actually, many other car manufacturers are heading towards Led lighting, not just these two. At least we can get more bright ideas on how to arrange LED lights in creative manner. I like this effort.